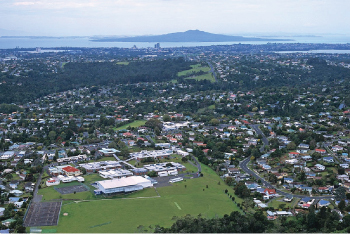 Located on a peninsular of the North Shore of Auckland, with its own distinct community, a short fifteen minute bus ride from Auckland’s city center. High academic results from diverse student nationalities. Strong social activities with strengths in culture and music. The school has well-established links with the local community and its contributing intermediate and primary schools. All students are closely monitored. Teachers and senior students give time and expertise to support students to make accelerated progress and to achieve success. Staff regularly review their practices and identify areas where additional support and guidance would benefit students. The school has well documented systems to guide its education and care of international students, monitoring the progress and achievement of each student. Students are encouraged to participate fully in the wider life of the school. Birkenhead College has high aspirations for their students and a commitment to developing the full potential of every student. They place a high priority on academic attainment and on developing self-esteem, initiative, creativity and personal responsibility. Their well-qualified staff are dedicated to their role in preparing students for the future in a proven learning environment. The College has a consistently strong academic record and is proud of its significant successes in sport, cultural and community activities. The College has a reputation as a caring school. An extensive guidance network exists to monitor and assist with the progress and welfare of all students. Effective learning cannot take place unless there is an ordered, disciplined environment. We are committed to fair but firm discipline based on common sense rules which are consistently enforced. Roll: about 700; 45 International Students. To provide education of the highest quality for all students of Birkenhead College. Foster basic values such as mutual respect, honesty, integrity and tolerance, as well as an appreciation of the need for courtesy, punctuality, perseverance, and a concern for the well-being of others. Provide an environment conducive to the development of quality relationships between students and staff and among students. Provide an orderly, safe and secure environment. develop a sense of purpose in life, a sense of responsibility as contributing members of society, and a sense of fun and enjoyment. Promote high levels of performance from all staff. Acknowledge the importance of the principles of the Treaty of Waitangi. Strive to provide every student with the best possible learning opportunities. Adopting the National Education Goals and the National Administration Guidelines. 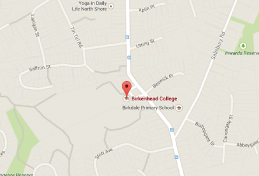 Birkenhead College is situated on Auckland’s North Shore in the residential suburb of Birkenhead.The college is on a well-serviced bus route and is only 15 minutes from Auckland’s city centre by bus. Nearby are the business centres of Takapuna and Albany with the beautiful East Coast beaches and parks a short distance away. Birkenhead College A student advisor will be in contact within one working day.